I cleared the date with my boss and I'm going to Jimmy Buffett at Alpine Valley on July 28th. It's going to be one long day for sure. I don't care if it takes three hours to get out of the parking lot after the show. Perhaps I could get a nap in to prepare for the drive home to Milwaukee. 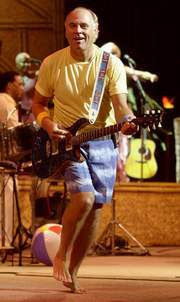 If you have ever seen Jimmy Buffett at Alpine Valley, you know it's a madhouse of fun.